Dr. Kun Huang is an internationally recognized leader in bioinformatics and computational pathology. He joined the Regenstrief Institute in 2017 as part of a joint appointment with the Indiana University School of Medicine. He applies his expertise as the Director of Data Sciences and Informatics for Indiana University’s Grand Challenge initiative — Precision Health. His research interests lie in translational bioinformatics, computational pathology, medical imaging, computational biology, integrative genomics tools for precision health, computer vision, and machine learning. He is focused on translating informatics tools to improve clinical practice and accelerate scientific discovery and believes the Precision Health Initiative is an unprecedented opportunity to accomplish just that. 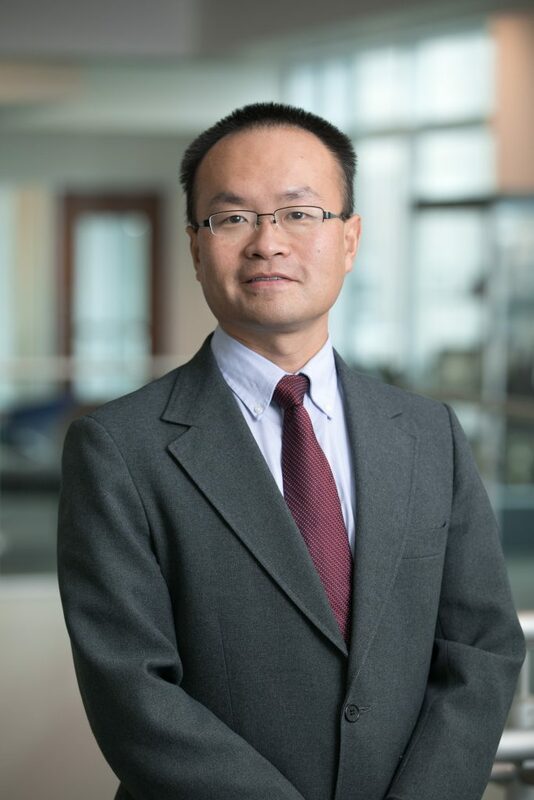 In addition to his other appointments, Dr. Huang is a senior investigator for the Center for Computational Biology and Bioinformatics at the Indiana University School of Medicine (IUSM) and a fellow of the American Institute of Biological and Medical Engineering (AIMBE).